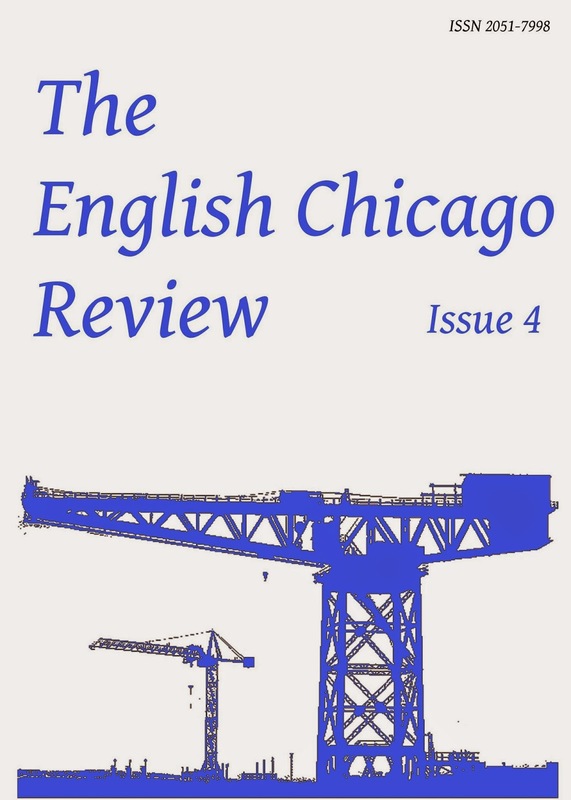 Issue 4 of The English Chicago Review is out now! Featuring poetry from: A C Bevan, Byron Beynon, Iain Britton, Anthony Costello, Natalie Crick, Colin Dodds, Clive Donovan, Yvonne Eller, Brett Evans, Mark Floyer, Gene Goldfarb, Chris Gower, Dave Lewis, Mark J Mitchell, Rafael Miguel Montes, Robert Nisbet, Andrew Pidoux, Bethany Rivers, Anton Rose, Emma Simon, Ron Singer, Clinton van Inman, Ross Wilcox, Jim C Wilson, and Ross Wilson. Issue three is out now! 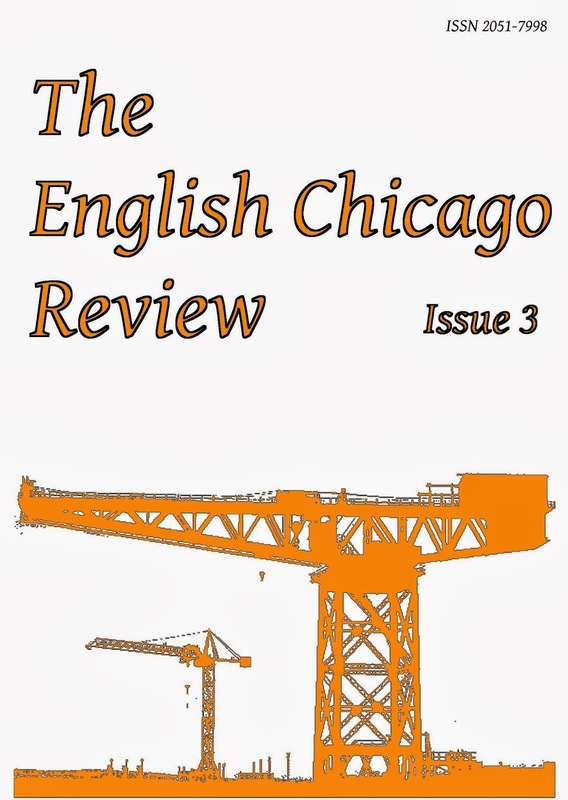 Issue three of The English Chicago Review﻿ is out now! Featuring poetry from Rowland Bagnall, Rebecca Bird, Jonathan Butcher, Jim Conwell, Alan Corkish, Anthony Costello, Craig Coyle, Stephen Devereux, Doug Draime, Brett Evans, Andy Fletcher, Chris Hardy, Aideen Henry, Richard Hughes, Nigel Jarrett, Allan Johnston, PD Lyons, Mary McCollum, Tim McLafferty, Ottilie Mulzet, Robert Nisbet, Jon Plunkett, Laura Potts, Wendy Pratt, Kieran Setright, Maria Taylor and Lucy Winrow. You can buy a copy of the issue by clicking here or you can take out a year's subscription here. 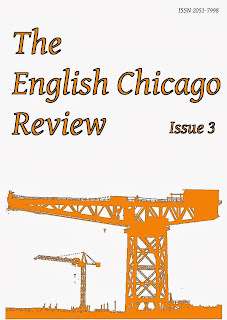 We are now actively reading for issue three of The English Chicago Review. If you wish your poetry to be considered for the issue, send up to six poems and brief biographical note to englishchicagoreview@gmail.com. 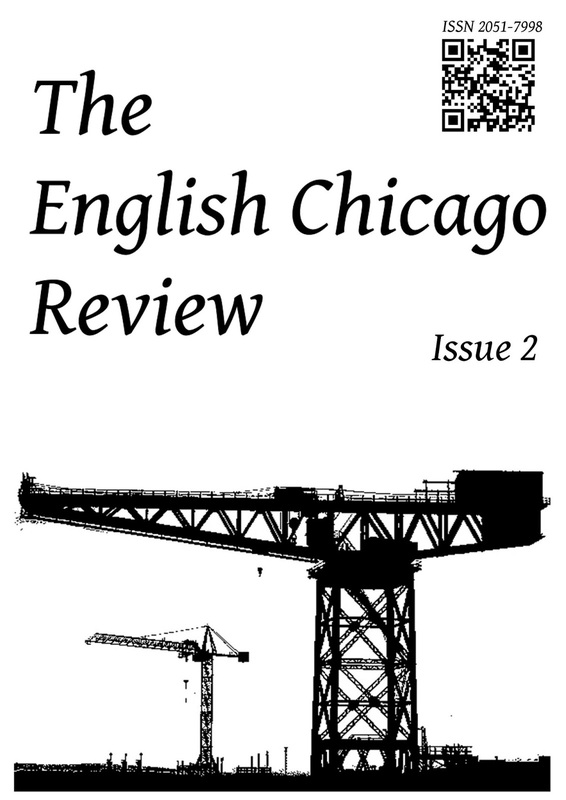 Issue two of The English Chicago Review is out now! Featuring poetry from Jeffrey C. Alfier, Elizabeth Barrett, Jonathan Beale, Julia Bell, Robert J. Bell, Byron Beynon, Peter Branson, Cathy Bryant, Ken Champion, Tobi Cogswell, John Davis, Geoffrey Heptonstall, Andy Humphrey, Vanessa Kirkpatrick, Faye Lipson, Martin Malone, Rich Murphy, Ian Parks, Andrew Pidoux, Bethany Rivers, Askold Skalsky and Jessica Tyner. The English Chicago Review is open for issue two until February 15th. See the submissions section for details of how to submit. 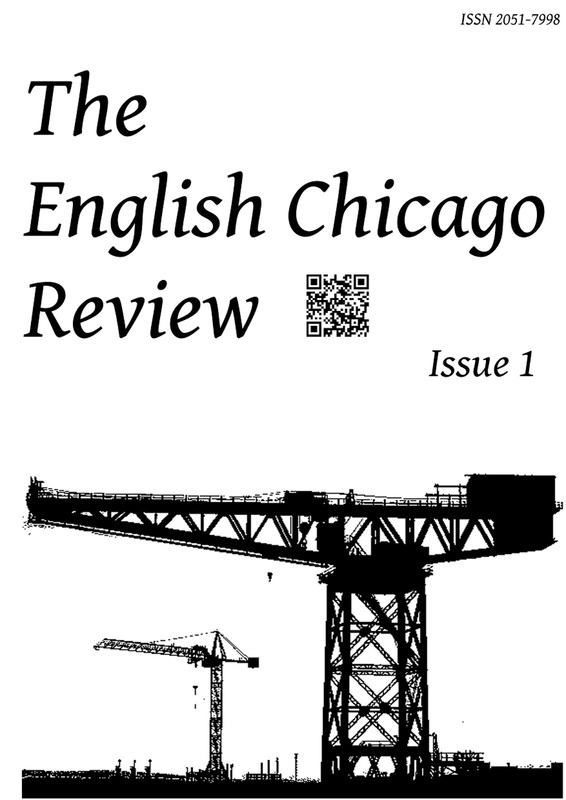 The first issue of The English Chicago Review is out now! It features poetry from Vicki Bartram, Robert J.Bell, Byron Beynon, Kierstin Bridger, Ken Champion, Antony Christie, Amy Christmas, Julie Corbett, Antony Dunn, Christy Hall, Peter Harris, Jem Henderson, Ian Parks, Heather Phillipson, Charles Pitter, Andy Skitt, Elizabeth Kate Switaj and Anthony Ward. After consultation with our printer, we can now confirm issue and subscription prices for The English Chicago Review. In the UK single issues will cost £2 and an annual subscription of four issues will cost £7. In the rest of the world, single issues will cost £4.50 and an annual subscription will cost £16. These prices include postage and packaging. 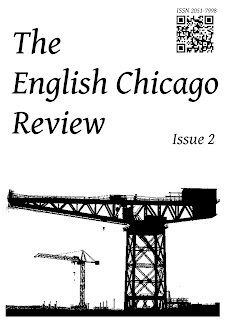 The first issue of The English Chicago Review is due for publication at the end of December.